Remember hard currency of Europe - no not the euro - Trust? 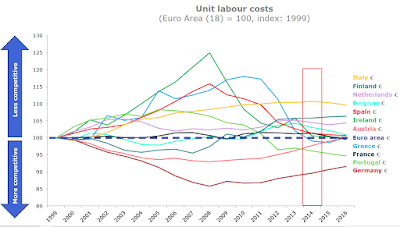 And remember how Greeks lack that currency because of failed reforms and incomplete adjustments? 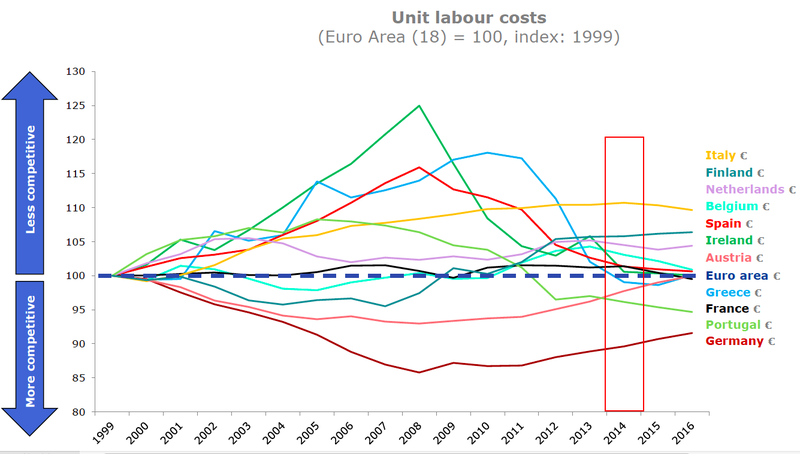 Here's a nice chart from the EU Commission itself showing changes in economic competitiveness (the EU fetishised) metric of Unit Labour Costs. In this, untrustworthy Greece is more competitive in 2013-2015 than the best-in-class Ireland. So if the internal devaluations work their magic, as the EU seems to believe, then by this metric, Greece should have been a roaring success story... with a surplus of Trust to spare some for Ireland.